Domaine des Senechaux is one of the oldest vineyards in Castro Novo: an area known for producing the "Vin du Pape" (Pope's wine) and for initiating Controlled Designation of Origin certification. 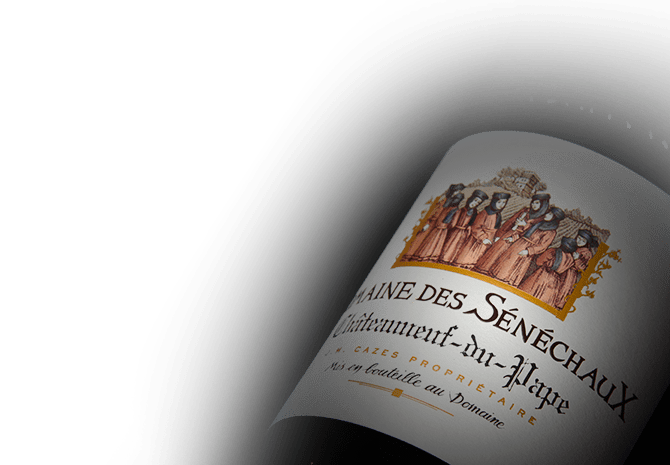 Domaine des Senechaux wines come from the Chateauneuf-du-Pape appellation in Rhone Valley. The Cazes family, who also owns Chateau Lynch-Bages in Pauillac, acquired the 17th century property in 2006. Today, the 27-hectare vineyard lays on rich, stone and round gravel soils. The parcel is planted with typical Rhone Valley grape varieties: Grenache, Syrah, and Mourvedre. Domaine des Senechaux is renowned for their full-bodied reds along with fleshy and very fragrant whites.